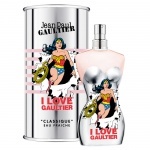 Jean Paul Gaultier Classique from Slapiton Authorised JPG Stockist. 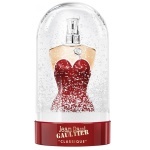 Jean Paul Gaultier Classique perfume is a fragrance that promises pleasure, bold and sweet it awakes your feelings and not only yours – imagine that people can recognize you even with their eyes closed. Jean Paul Gaultier Classique Eau de Parfum Intense has been created to give the original and beautiful Classique fragrance, which was created in 1993, a new modern and more vivacious twist!